​FORT WORTH – Cassco Development Co. Inc. has added three new tenants to its Clearfork office project at 5600 Clearfork Main. Clearfork Wealth Management, Stewart Title and Superior Silica Sands are the latest additions to the project. Now 89 percent leased, the Class A office building, opened in December 2016 with the relocation of medical technologies firm, Smith & Nephew and First United Mortgage Group. Lhoist North America is in the final stages of construction of the second and third floors of the office building and will open 3Q 2017. The addition of the three new tenants adds a combined 28,180 leased sf. 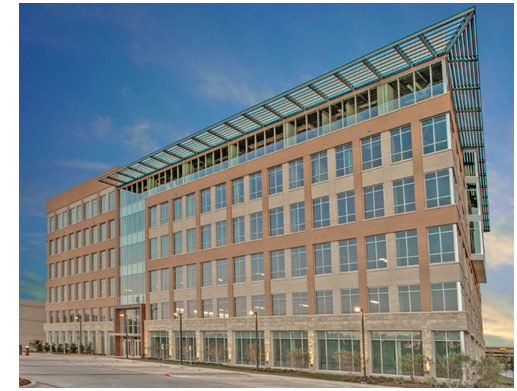 Totaling 180,000 sf, the riverside campus features six-stories of premium office space situated in a park-like setting on 7.5 acres between the Trinity Trails and Chisholm Trail Pkwy. ​Want more da​ta? See DFW Office Market Research. ​ For Texas cities' office news, click here​.